Over 30 illustrated animals to be exhibited at The Old Street Gallery in a bid to raise money for World Land Trust’s “Buy An Acre” Scheme. Birmingham Design Festival lands in the city on 7th June 2018. 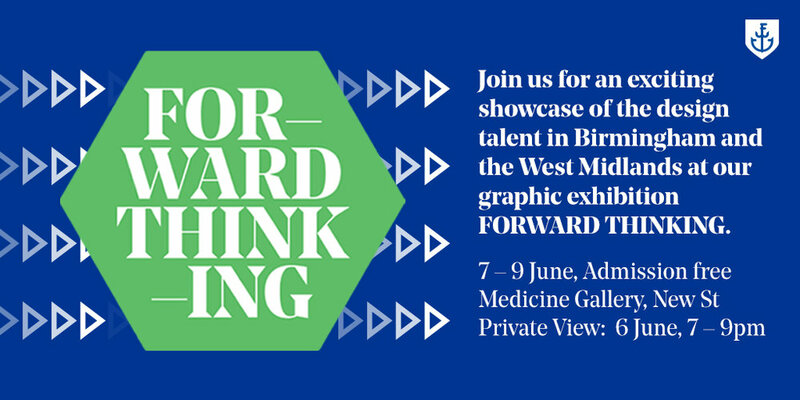 The festival kicks off with a poster exhibition titled FORWARD THINKING featuring artwork by 34 local designers, artists and illustrators. This Christmas, 15 artists have been specially commissioned to create artworks inspired by their favourite children's books. Selling their artwork via an online auction, proceeds will go to Acorns Children's Charity. Creative event producers Wild in Art are teaming up with Andersen Press to bring Elmer’s Big Art Parades to Britain’s towns and cities in 2019. Peony Passion, the 1.65m tall sun bear sculpture designed and painted for The Big Sleuth art trail, raises £8000 at auction. Peony Passion sun bear is revealed at The Big Sleuth launch party! Tuesday 4 July 2017 saw launch of The Big Sleuth at Egbaston Cricket Ground, Birmingham, where all 100 bears were exhibited together for the very first time.